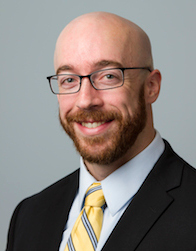 My name is Nicholas Griner and I am the Scientific Program Manager for the Cancer Genome Characterization Initiative (CGCI) in the Office of Cancer Genomics (OCG). Until recently, I spent most of my scientific career working in a cancer research laboratory. Acute lymphoblastic leukemia (ALL), a cancer of white blood cells, is the most common malignancy in children and remains the most frequent cause of cancer death in the US among persons younger than 20 years old1. 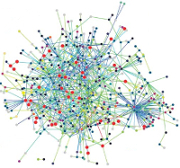 The amount of cancer genomic data available to researchers is growing exponentially. One major challenge that limits the integration of genomic findings into patient care involves differentiating driver mutations that confer growth or survival advantage on cancer cells from random passengers that are functionally neutral. Zeroing in on therapeutically relevant information in the flood of large-scale genomics data and translating it for clinical applications is an important goal for cancer research. My name is Nicholas Griner and I am the Scientific Program Manager for the Cancer Genome Characterization Initiative (CGCI) in the Office of Cancer Genomics (OCG). Until recently, I spent most of my scientific career working in a cancer research laboratory. In my postdoctoral training, my research focused on identifying novel pathways that contribute to both prostate and breast cancers and studying proteins within these pathways that may be targeted with cancer drugs. As my postdoctoral fellowship came to a close, I decided to pursue a position at the interface between research and clinical outcomes with more direct applications towards treating cancer patients. A job opening in OCG offered me this unique opportunity, and I started my position in December 2013. As CGCI program manager, I oversee two major molecular characterization projects: the Burkitt Lymphoma Genome Sequencing Project (BLGSP) and the HIV+ Tumor Molecular Characterization Project (HTMCP). Both BLGSP and HTMCP share the similar goal of genetically characterizing a large number of tumors to delineate between different tumor subtypes. BLGSP was initiated in 2010 by the National Cancer Institute (NCI) in collaboration with the Foundation for Burkitt Lymphoma Research. Burkitt Lymphoma (BL) is a blood cancer that arises from white blood cells called B-cell lymphocytes and affects mostly children and young adults from equatorial Africa. OCG and NCI’s Office of HIV and AIDS Malignancy created HTMCP to compare genetic changes in tumors of the same organ from HIV+ and HIV- patients. HTMCP researchers are studying the most common malignancies associated with HIV infection: diffuse large B-cell lymphoma (DLBCL), cervical cancer, and lung cancer. BLGSP and HTMCP will generate a central data repository that will be accessible to the research community and include molecular characterization data from tumors and normal tissue and clinical data. For all data shared through the repository, patient privacy and confidentiality will be protected. The tumors studied in these projects afflict patients in countries around the world, and are particularly prevalent in African countries. Therefore, the findings may inform specific clinical treatments for patients across the globe. When I entered my role as program manager, I quickly learned that standardizing protocols for tissue accrual and processing is critical for generating the quality of data necessary to establish successful data repositories for large-scale genome projects. For molecular data to be effectively analyzed, every tumor sample must be treated in a similar manner. This standardization is achieved by having technical requirements for each step of the process, which starts when patients agree to participate in the study and continues through the time when tumor samples are acquired and subsequently sent for sequencing. For example, accurate clinical data and patient consent information must be associated with each sample. Also, before samples are sent for sequencing, rigorous pathology tests are performed to confirm tumor tissues are qualified to enter the project. To read additional details about the steps involved in the tissue collection and annotation processes, visit e-News Issue 12. To ensure that each tumor sample in the study is treated similarly, I work closely with a biospecimen core resource (BCR). The Research Institute at Nationwide Children’s Hospital (NCH) represents one BCR that performs standardized tasks, such as clinical data tracking and pathology review, for both BLGSP and HTMCP. I had the great opportunity to observe these processes first-hand when I visited NCH and interacted with a team headed by Dr. Julia Gastier-Foster. While visiting NCH, Dr. Gastier-Foster’s team provided a tour of their facilities and taught me about NCH’s tissue collection and processing procedures. This opportunity proved to be an invaluable experience for understanding the steps and attention-to-detail needed for these projects to function properly. While organization and communication skills were necessary for my previous career as a research scientist, these skills are even more essential for my current job because of the highly collaborative nature of the projects I manage. Daily, I communicate with project team members from many institutes around the US and the world to track the progress of samples and convey the importance of carefully following protocols. To help with this, I organized the details surrounding tumor accruement and processing into easily digestible formats to better coordinate activities among the dozens of institutes and investigators involved in HTMCP and BLGSP. I designed project-specific flowcharts outlining the critical procedural steps that each project entails, re-organized tracking spreadsheets, and updated Standard Operating Procedures (SOPs), which outline detailed protocols for accruing and processing tumor samples. By carefully tracking the steps involved in tissue accrual and processing, and making sure other team members are also monitoring these steps and following SOP guidelines, we eliminate variables that may cause confounding results later in the process when molecular data are compared. These efforts will increase the likelihood that scientific discoveries, and potential new treatment options for patients, can be derived from the collected sequencing and molecular data. One exciting aspect of BLGSP and HTMCP is their potential to have an impact on patients around the globe. For both projects, I am coordinating with clinical sites throughout the world to acquire tumor and normal tissues for analyses. Many of these sites are in third world countries because of the abundance of BL and HIV-related tumor cases in under-developed areas. The global aspect of these projects presents various challenges, which are mostly related to the lack of resources at these sites. Most hospitals and clinical sites in third world countries do not have the tools or personnel to collect tissues according to the projects’ SOPs. Proper training and tremendous efforts from many individuals are required for these clinical sites to function properly. Fortunately, BLGSP and HTMCP have provided this training and infrastructure with the help of investigators in the United States and many on-site project team members. In fact, two on-site members at the Uganda Cancer Institute, Sarah Gerdts and Constance Namirembe, are interviewed in this e-News issue. The outcome from these efforts will help improve the timing and accuracy of cancer diagnosis and provide data that can be used to develop clinical tools to address specific disease variants present in these countries. Now is an exciting time to be involved in these large-scale sequencing projects because of the vast amount of data produced from these studies. Information from these studies will allow us to identify somatic changes that help distinguish between different cancer subtypes of BL as well as different characteristics of tumors in HIV+ versus HIV- patients. Hopefully, in the long term, these discoveries will reveal genetic targets that can ultimately be used for improved patient treatment. Stephen P. Hunger, M.D. and Charles G. Mullighan, M.D. Source: Louise-Anne Geddes via Creative Commons. Acute lymphoblastic leukemia (ALL), a cancer of white blood cells, is the most common malignancy in children and remains the most frequent cause of cancer death in the US among persons younger than 20 years old1. Cure rates have improved dramatically for children with ALL over the past several decades; 5-year survival rates now exceed 90% and long-term cure rates remain above 85%2. However, survival rates have been shown to decline as patient age increases. For those ages 20–29.99 years, the 5-year and 10-year overall survival rates are only 44.8% and 30.8%, respectively3. Despite higher cure rates, 15 to 20% of children eventually relapse. Additionally, current chemotherapy regimens used to treat children with ALL can have many short- and long-term side effects. These include severe problems such as developmental delays, infertility, and secondary cancers. Understanding the genomic changes that drive ALL can lead to the development of new, targeted treatments that reduce toxicity and improve survival rates, especially for patients afflicted with ALL subtypes that have poor outcomes. Philadelphia chromosome-like (Ph-like) ALL is one such subtype associated with poor outcomes in both children and young adults. Five years ago, our ALL Project team, consisting of collaborators from the Children’s Oncology Group (COG), St. Jude Children’s Research Hospital, and NCI’s Therapeutically Applicable Research to Generate Effective Treatments (TARGET), identified this ALL subtype; an independent group led by Monique den Boer also published similar findings4,5. Ph-like ALL got its name because it has a gene expression profile similar to another subtype, Philadelphia chromosome-positive (Ph+) ALL. Ph+ ALL is characterized by the presence of the “Philadelphia chromosome,” the result of a translocation between chromosomes 9 and 22. This translocation also forms a fusion between two genes, breakpoint cluster region (BCR) and Abelson murine leukemia viral oncogene homolog 1 (ABL1), called BCR-ABL1. The resulting oncogenic protein drives cancer proliferation and survival through aberrant tyrosine kinase signaling. This oncoprotein can be effectively targeted with tyrosine kinase inhibitors (TKI), providing a treatment option in addition to standard chemotherapy for Ph+ ALL patients. Ph-like ALL lacks the characteristic BCR-ABL1 fusion that defines Ph+ ALL. However, in 2012 our molecular analyses of 15 children with Ph-like ALL uncovered rearrangements or sequence mutations deregulating tyrosine kinase signaling in all 15 cases6, suggesting TKI therapy as a potential treatment option for patients with Ph-like ALL as well. We recently expanded these observations by performing genomic profiling of 1,725 children, adolescents and young adults between the ages of 1-39 years with precursor B-cell ALL, the most common subtype of B-cell lineage ALL7. From this cohort, or group of patients, 264 (15.3%) had Ph-like ALL8. We showed that the prevalence of Ph-like ALL increases with age and that the older age groups, adolescents and young adults, have inferior outcomes (Table 1). Among all age groups studied, Ph-like ALL was an independent adverse prognostic factor. Interestingly, JAK2 fusions were more common in young adults and ABL class fusions were more frequent in children, although confirmation with a larger patient cohort is required. The numbers refer to those our group has identified in published6,8 and unpublished (Reshmi, Roberts and others) studies. These findings have implications that may be relevant to treating Ph-like ALL patients that are positive for these genetic changes. Cell lines harboring the JAK2 fusions and EPOR rearrangements were highly sensitive to the JAK2 inhibitor, ruxolitinib (Table 2). The ABL class fusions were sensitive to ABL class inhibitors, imatinib and dasatinib (Table 2), two TKIs that have revolutionized the treatment of chronic myeloid leukemia (CML) and Ph+ ALL. Many patients with Ph+ ALL can be cured with chemotherapy plus imatinib or dasatinib11,12, and there are multiple case reports of dramatic clinical responses to these inhibitors in children with Ph-like ALL and ABL class fusions as well13,14 (Figure 1). This suggests using imatinib and dasatinib to treat a broader group of patients with these subtypes of ALL may be beneficial. Our group has commenced prospective genomic testing in ALL patients with poor response to induction chemotherapy or clinical features suggestive of Ph-like ALL including abnormal cytogenetic results, or high initial white blood cell count. Of those tested, 24 of 28 (80%) cases had Ph-like ALL, and 22 of these cases had a targetable kinase fusion, including 16 with ABL class fusions8. TKI therapy was started in 12 cases, and follow-up data from 11 of these cases shows rapid and sustained responses. Figure 1. A young Ph-like ALL patient was treated with the TKI drug imatinib and had a favorable outcome. He is pictured here with his oncologist. (This picture has been used with permission of the patient’s family). We are also implementing plans to screen for Ph-like ALL in all patients enrolled in the COG AALL1131 clinical trial for high-risk ALL (about 800 patients/year). Low-density arrays, or genomics tools that provide genotype and gene expression information, will be used to identify patients with the Ph-like ALL subtype. Positive samples will be tested for known kinase alterations in Ph-like ALL, and patients with ABL-class fusions will be eligible to have dasatinib added to their chemotherapy regimens. We will compare the outcomes of patients identified prospectively and treated with chemotherapy plus dasatinib to the outcomes of patients identified retrospectively and treated with chemotherapy alone. This trial, which is possible because of generous funding from St. Baldrick’s Foundation and the Leukemia & Lymphoma Society, with supply of dasatinib by Bristol Myers Squibb, is projected to be implemented by mid-2015. It is likely that additional Ph-like ALL patients will also benefit from TKI therapy (for example, using ruxolitinib to target JAK2 fusions) and a clinical trial testing that approach is being developed. These promising clinical approaches are particularly relevant to improving outcomes in young adults with ALL, 25% of whom have Ph+ ALL and a similar Ph-like ALL. When the TARGET ALL project was initiated, the goal was to identify high-risk subsets of leukemia that might benefit from new therapies; it is particularly rewarding to see that vision coming to fruition. These efforts have been possible because of the efforts of a large team of investigators from the COG (William Carroll, Meenaskshi Devidas, Mignon Loh), St. Jude Children’s Research Hospital (James Downing, Kathryn Roberts, Jinghui Zhang), Nationwide Children’s Hospital (Julie Gastier-Foster, Shalini Reshmi), the University of New Mexico (I-Ming Chen, Huining Kang, Richard Harvey, Cheryl Willman) and support from the Cancer Therapy Evaluation Program (Malcolm Smith) and the Office of Cancer Genomics (Daniela Gerhard and colleagues). Lydia W.T. Cheung, Ph.D. and Gordon B. Mills, M.D., Ph.D. The amount of cancer genomic data available to researchers is growing exponentially. One major challenge that limits the integration of genomic findings into patient care involves differentiating driver mutations that confer growth or survival advantage on cancer cells from random passengers that are functionally neutral. Discovery of cancer drivers and knowledge of their functional consequences can provide insight into the biology of tumor development, reveal new avenues for targeted therapy development, and guide patient stratification. Driver mutations can be categorized as hypomorph (decrease in function), hypermorph (increase in function), and the less common neomorph (gain of novel function). Algorithms may predict hypomorphic and hypermorphic mutations and their functional consequences. Neomorphs, however, require direct experimental determination because they are challenging to identify and their functions are largely unpredictable. These approaches allow us to identify drivers, elucidate their functional consequences, and determine whether they engender therapeutic liabilities that may be leveraged to improve patient outcomes. We recently used components of this pipeline to identify a subset of PIK3R1 mutations as neomorphic1. PIK3R1 is the 11th most frequently mutated gene across all cancers, and mutations are particularly common in endometrial and colon cancers. The neomorphic mutations we recently described, including PIK3R1R348* and neighboring truncation mutations, represent the most common recurrent PIK3R1 mutations and account for about 10% of all PIK3R1 mutations in endometrial and colon cancers. The PIK3R1 gene encodes p85α, which regulates class 1A phosphoinositide 3-kinase (PI3K). PI3K signaling influences a variety of cellular functions, including growth, differentiation and survival. Leading into our study, we knew that mutations in other regions of PIK3R1 had hypomorphic activity that lead to hyperactivation of the PI3K pathway. We wanted to learn how PIK3R1R348* and surrounding mutations drive tumor initiation and survival. We screened PIK3R1R348*-expressing cells against a library of “informer” therapeutic compounds that are currently being used in the clinic or clinical trials. In this platform, drugs that cause cell death provide insight as to which pathway a particular driver is acting on. Additionally, drugs that show favorable results may be potential treatment options for patients whose tumors have the mutation. Similar to other mutants in the PI3K pathway, PIK3R1R348* conferred sensitivity to a subset of PI3K pathway inhibitors. To our surprise, PIK3R1R348* also rendered cells sensitive to inhibitors of mitogen-activated protein kinase kinase (MEK) and c-Jun N-terminal kinase (JNK), which are components of the mitogen-activated protein kinase (MAPK) pathways. This effect was specific to PIK3R1R348*; cells with wild-type p85α and other p85α mutations were not sensitive to MAPK inhibitors. To determine a mechanism for how PIK3R1R348* results in sensitivity to MAPK inhibitors, we turned to our platform for analyzing signaling activity. RPPA revealed activation of extracellular signal-regulated kinase (ERK) and JNK signaling cascades, suggesting that aberrant MAPK pathway activation underlies the unexpected drug sensitivity (Figure 1). We injected endometrial cancer cells expressing PIK3R1R348* or ovarian cancer cells harboring the R348*-neighboring mutation, PIK3R1L370fs, into mice to model tumor development. Using these xenograft models, we recapitulated pathway activation and demonstrated that MAPK inhibitors decreased xenograft tumor growth. These findings suggest that truncation mutations within this region have the same functional impact and may be relevant clinically. Figure 1: In the absence of an external signal, P85αR348* activates MAPK signaling (1) through B-Raf, a protein normally activated by RAS signaling, which initiates the MEK signaling cascade; and (2) through a multi-protein complex that activates JNK signaling in the nucleus. The phosphorylation status (represented by “p”) was determined by RPPA and indicates protein activity. A major challenge surrounding targeted therapy is drug resistance, which occurs when the cancer cells circumvent the effects of targeted inhibitors. Drug resistance can either be intrinsic or acquired, and is due to the ability of cancer cells to activate compensatory signaling pathways to bypass drug-mediated inhibition. For example, therapeutic inhibition of the MAPK or the PI3K pathway individually may be ineffective because either pathway can compensate for the other due to each pathway’s reliance on the other. Additionally, co-activation of PI3K and MAPK pathways is common in cancers. In some tumors, these pathways are co-activated by mutations in Kristen rat sarcoma viral oncogene homolog (KRAS). Our data suggest that PIK3R1R348* or neighboring mutations also co-activate the PI3K and MAPK pathways in a subset of endometrial and colon cancers. Therefore, inhibition of both pathways may be required to avoid development of resistance and achieve optimal treatment responses. Although our results suggest that MAPK pathway inhibitors should be considered for patients with PIK3R1R348* or neighboring mutations, the effects of PI3K pathway inhibitors alone or in combination remain to be addressed in tumors with these particular mutations. Currently, the combinatorial approach of MEK and PI3K pathway inhibition is being assessed in several clinical trials for colon and endometrial cancers. Previous studies have shown that mutations in RAS and PI3K pathway proteins co-occur in these cancers. Therefore, to optimize trial design, RAS and/or PI3K pathway mutation status in tumors of the patients enrolled in these trials, along with the risk of increased toxicity that comes along with combination therapy, will need to be taken into consideration. Our discovery of the p85α neomorphic activity shows that each mutation in a given gene may have a different functional impact on downstream signaling and lead to varying responses to clinical therapeutics. 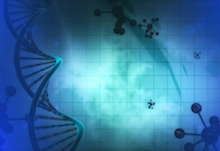 Therefore, it may be necessary to functionally annotate every mutation within each candidate gene in order to effectively implement precision medicine. Burkitt Lymphoma Genome Sequencing Project (BLGSP) and HIV+ Tumor Molecular Characterization Project (HTMCP) are two Office of Cancer Genomics initiatives within the Cancer Genome Characterization Initaitive that are characterizing the genetic events that drive Burkitt Lymphoma and tumors in HIV+ patients, respectively. These malignancies are common in African countries, so the National Cancer Institute (NCI) is partnering with the Uganda Cancer Institute (UCI) to help these projects move forward successfully. Sarah Gerdts and Constance Namirembe are project team members that work at UCI. They help build a bridge between UCI and NCI, and are instrumental in obtaining tumor samples for these large-scale genome characterization projects. After earning a Master’s degree in Public Health from the University of Wisconsin, Sarah’s interest in global health inspired her to leave the United States and pursue career opportunities in Uganda. As the Research Operations Manager of the Uganda Cancer Institute-Hutchinson Center Cancer Alliance (UCI-HCCA), she is currently overseeing HTMCP and BLGSP. Constance, a former midwife and a Uganda native, is a registered comprehensive nurse and the Study Coordinator for HTMCP and BLGSP. Together, she and Sarah perform the daily operational tasks required to ensure tumor samples are properly obtained and processed. In the following interview, Sarah and Constance describe their work at UCI and the ways these projects are already improving cancer care in Uganda. What career paths brought you to your current positions? Sarah: I came to Uganda 3 years ago to start a clinical care project at UCI. The project’s goal was to improve outcomes for kids with Burkitt Lymphoma, a common pediatric cancer in this region. While that project was ongoing, I helped initiate the HTMCP and BLGSP studies at our research site. As part of that process, I interviewed Constance for the role of Study Coordinator and knew right away that she would be a great asset to our team. Constance has a strong background in clinical research and prior experience in regulatory affairs and quality assurance. She demonstrates a maturity that makes her an excellent leader and a vital member of our team. Constance: Immediately after my nursing training, I worked as a midwife in charge of the Public Health department at Rubaga hospital, one of the non-government organization hospitals in Kampala. I then served as an Associate Regulatory coordinator at the National Institutes of Health clinical research site in Kampala before becoming the Study Coordinator for HTMCP and BLGSP in February 2014. Cancer is ranked among the top 5 non-communicable killer diseases in Uganda, so I am truly fulfilled by contributing to efforts aimed at improving cancer prevention, early detection, and treatment. What are your job responsibilities and contributions to the HTMCP/BLGSP projects? Sarah: I oversee the local project management duties of HTMCP and BLGSP. Working with our co-investigators and research team here in Uganda, we lay the groundwork for these studies by setting up relationships with surgeons and clinics in clinics and hospitals around Kampala, so that they can refer patients to UCI for enrollment in the projects. Establishing these surgery and referral contacts was no small task. Contacts were initially made through our on-site principal investigator and director of the UCI, Dr. Jackson Orem, as well as our on-site co-investigators, Noleb Mugisha and Abraham Omoding. Together, we gave presentations at other hospitals, sent letters, and organized many follow-up meetings. Now that these relationships are established and samples are actively being accrued, I track the project deliverables, plan specimen shipments, oversee data quality, and troubleshoot challenges that arise. Constance: I coordinate the day-to-day operations of the HTMCP and BLGSP projects and supervise a team of seven study staff. My duties involve planning and managing patient recruitments and biopsy procedures, collecting demographic and clinical data, supervising the informed consent process, and ensuring that all research processes meet ethical standards. Why is the collaboration between the United States and the Uganda Cancer Institute so important? What broad implications does it have for cancer research? Sarah: We have a large number of HIV-infected cancer patients at UCI, so the collaboration between NCI and UCI is increasing the number of tumor samples available for HTMCP and BLGSP. By studying genetically diverse populations, such as those in Africa and the US, cancer research will be advanced because comparing the molecular profiles of various populations helps researchers identify common and unique mutations. For example, these studies may show clinical or molecular differences in the Uganda tumor samples compared to the US samples. Ultimately, Ugandans will also benefit from this collaboration. The research is building a knowledge base about cancer types that are common here in their country. This information is essential for understanding the underlying mechanisms of these cancers and may inform better treatment in the future. Constance: Through my experiences, I have observed that many cancer patients present with late stage disease. There seems to be knowledge gaps among the population about the early signs and symptoms of cancer, so through these projects, we are educating health care workers about how to communicate potential signs and symptoms to patients, so patients can better understand and spread this knowledge. What are the biggest challenges you’ve experienced in gathering tissue samples for BLGSP and HTMCP, and how have you overcome those challenges? Sarah: One of the biggest challenges in Uganda is the pathology diagnosis of patient samples. 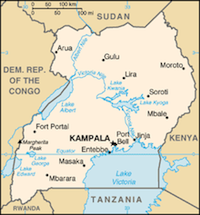 Tumor pathology in Uganda is limited by the unavailability of tests necessary for accurate and rapid diagnoses. This makes determining which tissue samples to send to the US for further analyses difficult. It is also very confusing and frustrating for the patients and clinicians, because problems with diagnoses can cause specialized cancer treatment to be delayed or not provided at all. This has led to poor treatment outcomes or patients abandoning treatment altogether. To face this problem, the HTMCP and BLGSP pathology reports are shared with the UCI clinicians, who compare the local pathology reports with the HTMCP and BLGSP pathology reports. The projects and the patients both benefit from this comparison, as it may lead to changes in practice and allocation of funds that can improve the process of proper diagnosis. Another challenge that we have experienced is enrolling the cancer patients in the study before their diagnostic biopsies. This is problematic because the biopsies happen in many different hospitals, clinics, wards, and clinic rooms, and if patients are not enrolled, then we cannot collect their biopsies. We have addressed this challenge by engaging many active referral sources to gather participants for these studies. What personal goals would you like to achieve through your work at the Uganda Cancer Institute with HTMCP and BLGSP? Sarah: I believe my personal goals and the goals of HTMCP and BLGSP are one in the same: to improve cancer care in the community. As part of our project recruitment efforts, the project management staff members have visited some of the large HIV treatment clinics around Kampala to help patients join our studies. We are also sharing the US-derived pathology lab results with the UCI clinicians, a process that has emphasized the importance of improving the local pathology diagnosis. The additional information on tissue quality and diagnosis that HTMCP and BLGSP provide can save a patient’s life and hopefully have a longer-term impact on what standard of care should look like for cancer care in Uganda. Overall, it has been rewarding to see these studies impact early diagnosis and cancer care here in the community. Constance: My personal goal is to be a resource for cancer care by sharing my work experiences with the health care providers to help with the diagnostic process. Specifically, I would like to help improve early diagnosis by increasing communication between potential patients and health care workers, so that patients can be diagnosed and treated before their disease develops into late stage cancer. I believe this strategy has the potential to save many lives in Uganda.